Most people outside of the biostimulant industry do not yet have a strong understanding of what plant biostimulants are or do, writes David Beaudreau on AgriBusinessGlobal.com. Biostimulants encompass a diverse list of products that enhance uptake, nutrient efficiency, plant health, yield and/or quality. These naturally derived products are used for both conventional and organic crop production. The global biostimulant market is estimated today to be $2 billion and could grow to $4 billion by 2025. It is currently growing at an estimated 10-12 percent Compound Annual Growth Rate (CAGR). Two of the bigger challenges facing the industry are: an uncertain regulatory environment in some geographies and market saturation in others. There has been a boom in investment and interest in this space in some countries and as a result there is intense competition for the same/similar markets. In terms of the global biostimulant market, Europe and the United States are the most well developed when it comes to biostimulant commercialization and use. Europe, in our opinion, is the leader in this space at this point, with a progressive, forward looking regulatory framework being considered and established which will help position the industry for strong growth. The United States has a large and stable agriculture economy for companies looking to enter this space. Many U.S. farmers are looking for innovative ways to simultaneously reduce their environmental footprint and increase crop yields; plant biostimulants can play a positive role in this regard. Many observers of the industry are interested to know what the return on investment for biostimulant companies looks like. This is a challenging question to answer. There is quite a range in this space from companies that have attracted large venture and other capital investment and are demonstrating solid returns on those investments to start ups that are working to gain market access in a variety of locales. One of the reasons it is a difficult question to quantify is that most of the companies in the biostimulant space are small to mid size and are thus not publicly traded and are not required to report financial data. Determining their revenue streams can be difficult. As the biostimulant industry has evolved, initially in the earlier years there was a major focus on marketing to specialty crop growers. 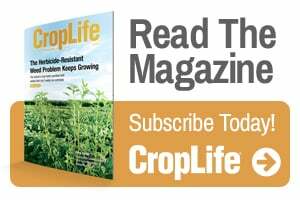 As companies and other types of growers have begun to better understand the benefits of the products, there has been an increased interest in connecting with major row crops. The harvested corn crop alone has a value exceeding $50 billion in the U.S. annually; so a modest yield increase would translate into significant revenue for both growers and biostimulant producers. As biostimulant companies continue to move into this space, we expect the ROI to increase significantly for those that can demonstrate product efficacy, yield and environmental footprint improvements through sound scientific data. Plant biostimulant companies, both small and large, continue to innovate and create new products. As such, the plant biostimulant industry is a bright spot in the current agricultural economy.